A tenured professor suspected of terrorist ties was in danger of being fired. Tom Campbell, a former congressman and Stanford Law professor, rallied to his side. He expressed "sincere alarm" that the University of South Florida was treating Sami Al-Arian unjustly because of his views and urged the school's president to reconsider. 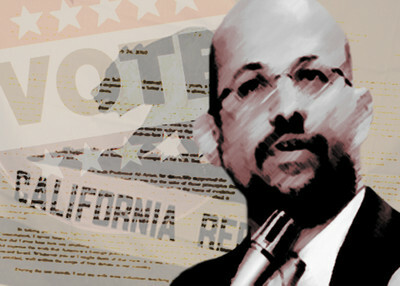 The 2002 letter, obtained by the Investigative Project on Terrorism, has become a hot-button issue in the California Senate Republican primary campaign this year. At the time, Al-Arian was under investigation for his ties to the Palestinian Islamic Jihad (PIJ). He was indicted a year later, but his 2005 trial ended in a mix of acquittals and deadlocked counts. Evidence in the case showed Al-Arian served on a PIJ governing board. In 2006, he pled guilty to providing goods and services to the terrorist group. Campbell's opponents say his letter stands among many signs that indicate he may be soft on terror or hostile toward Israel. Campbell has expressed regret over the letter, but claimed he was not aware of incriminating facts about Al-Arian when he wrote it. "None of that had come out," Campbell told the Los Angeles Times last week. In the 2002 letter, however, he described how he got to know Al-Arian working to stop the use of secret evidence against non-citizens in immigration court. He described the professor as someone who "staunchly supported the principles of the United States Constitution." "I never heard Professor Al-Arian utter a single word disloyal to the United States. Nor did I ever hear him say anything anti-Semitic, or racist, or religionist against any group. He did express the wish that America's foreign policy in the Middle East would tilt less discernibly toward Israel. Whatever you or I might think of that view, it is one to which Professor Al-Arian is entitled, well within the scope of free debate in our country." He then urged USF President Judy Genshaft to reverse course in the name of academic freedom and free speech: "What a tremendous victory it would be for those freedoms, for the reputation for fairness of your University, and for our country." USF did not fire Al-Arian at the time. It did terminate him in February 2003, after he was indicted and arrested. As we noted last week, a lot of information about Al-Arian's terror support had come out before Campbell wrote to USF. For starters, a former director of Al-Arian's think tank was appointed PIJ General Secretary in 1995, after the terror group's founder was assassinated in Malta. Federal agents raided Al-Arian's home and offices weeks later. Closer to the Campbell letter, though, was the airing of a national television report which offered a detailed look at Al-Arian's terrorist connections. NBC's "Dateline" program devoted a segment to it on October 28, 2001. "Those people [Jews], God made monkeys and pigs. Jihad is our path. Victory to Islam. Death to Israel." And "Let us damn America. Let us damn Israel. Let us damn their allies until death." "Donate to the Islamic Jihad! One of them would leave his house with a knife to stab the Jews. Five hundred dollars! Who would add to $500?" "direct evidence of his active support for terrorism. When Al-Arian is seen and heard saying 'let us damn America' and calling Jews 'monkeys and pigs,' no one needs to rely on his critics to interpret his remarks. And when he puts his signature on a letter soliciting funds for terrorist operations, his involvement isn't subject to misunderstanding." After Campbell co-sponsored legislation to end the use of secret evidence in immigration court, Al-Arian donated $1,300 to Campbell's unsuccessful 2000 Senate bid. Al-Arian's brother-in-law, Mazen Al-Najjar, had been jailed in Florida as he appealed a final deportation order. Immigration officials used secret evidence that tied him to the PIJ to argue he should be held without bond pending that appeal. During Al-Arian's trial, exhibits showed Al-Najjar, like Al-Arian, had served on the PIJ governing board. In a recent interview, Campbell denied accepting campaign contributions from Al-Arian during his unsuccessful 2000 Senate bid. He later issued an apology, admitting he misspoke, but that "I did not realize that Sami Al-Arian had contributed himself. It was an honest mistake, with no attempt to mislead." In the letter to USF, Campbell mentioned that Al-Arian "helped me raise funds" for the campaign but did not mention a direct contribution. He also indicated he had been in Africa for the previous month and learned about USF's intent to fire Al-Arian upon returning. If he really didn't know about his colleague's terror support, Campbell would have been out of touch for much, much longer. See the letter here. How many times have we seen the ugly results of politicians who support the military but who cannot bring themselves to ID the culprit? Enter campaign contributions from shady characters and one can see how easily all the work we've done post-9/11 could get unraveled in a nano-second. Where do we citizens start with the clean up? We need to include Tom Campbell with those even more disingenuous. Our polititians have ridden for way to long on the broken pony of "OOPS". We need to let anyone who would want a seat in our Congress to know, from here on out that we are watching and listening. Eric Holder just rode in with an "OOPS". He lied about his connection defending enemies of this country. Rangles with his "OOPS" when he was suprised that his income was taxable and it just keeps coming. We really need to have started yesterday. I like Tom Campbell. But this is simply too much. His relationship to Al-Arian seems clear enough: Al-Arian was a fund-raiser. He raised funds for Campbell. Campbell repaid with a letter to the university. In the normal course of politics this would be understandable if somewhat grubby. But given that Al-Arian is terrorist supporter it is unforgivable. Carly and her demon sheep ad have my vote.